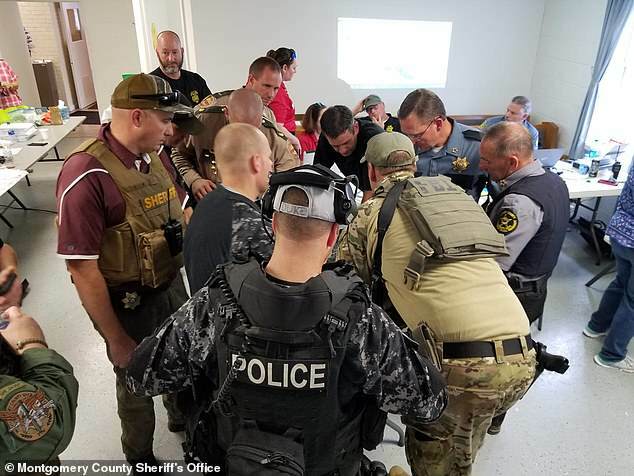 A couple has been charged with harboring an accused double murderer who led authorities on a wild manhunt that terrorized several Tennessee counties and transfixed the state. 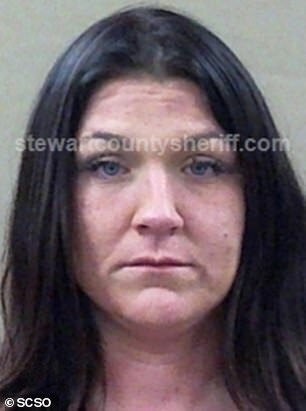 Derek Eugene Summers, 40, and Mindy Elaine Harris, 32, were indicted on Monday by a Stewart County grand jury on a charge of accessory after the fact in the alleged crimes of Kirby Gene Wallace. 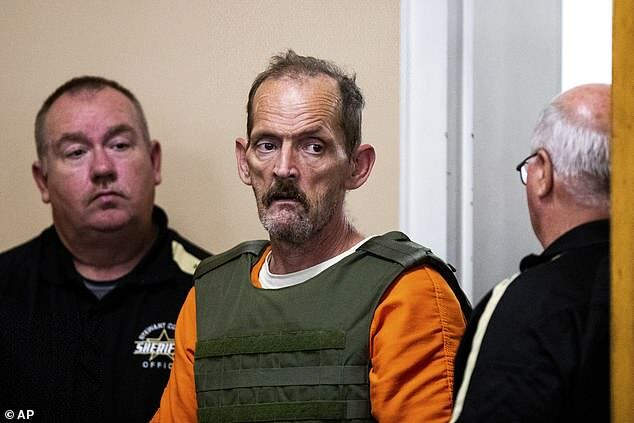 Wallace, 53, led police on a week-long manhunt in the fall, hiding in the woods after an alleged crime spree that included shooting two people to death, burning a house down, and holding an elderly woman at knife-point to steal her car. 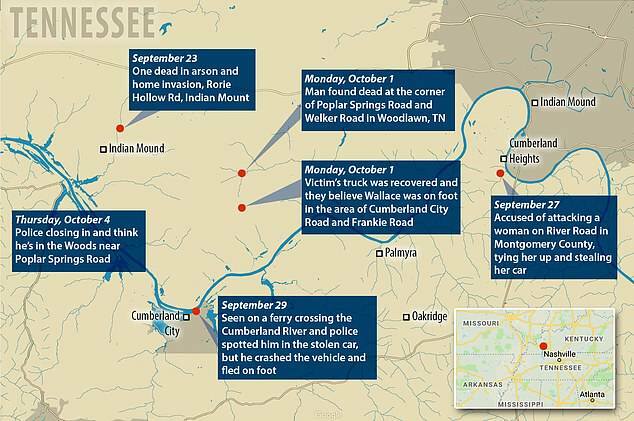 Now, the Tennessee Bureau of Investigation says that Wallace spent time at the Woodlawn home of Summers and Harris after murdering Indian Mound resident Brenda Smith, the crime that initiated the spree on September 23. Investigators also say that they recovered stolen property from Smith’s home inside the home of Summers and Harris. 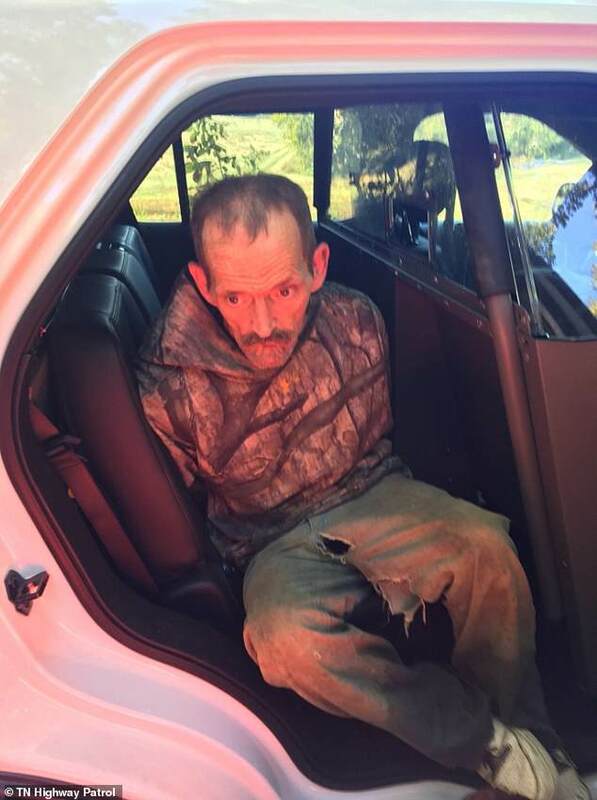 After using his deep knowledge of the local woods to elude searchers for over a week, Wallace was arrested on October 5. He is charged with first degree murder, felony murder, attempted first degree murder, especially aggravated burglary, two counts of especially aggravated robbery, two counts of especially aggravated kidnapping and aggravated arson. 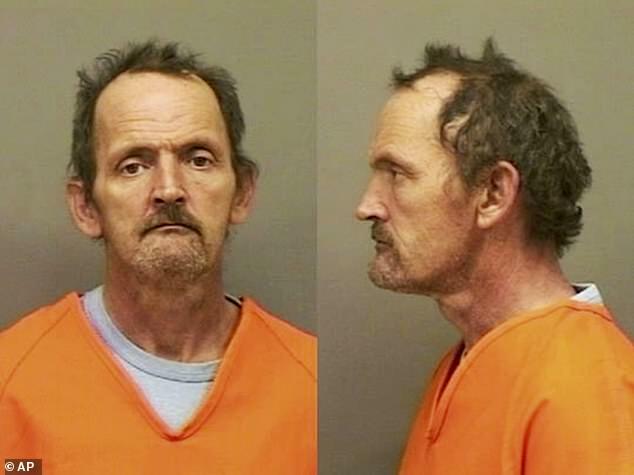 Summers is currently incarcerated in the Cheatham County Jail on an unrelated charge. Harris was arrested following the indictment and is being held in Stewart County. Both are being held pending bail of $20,000. 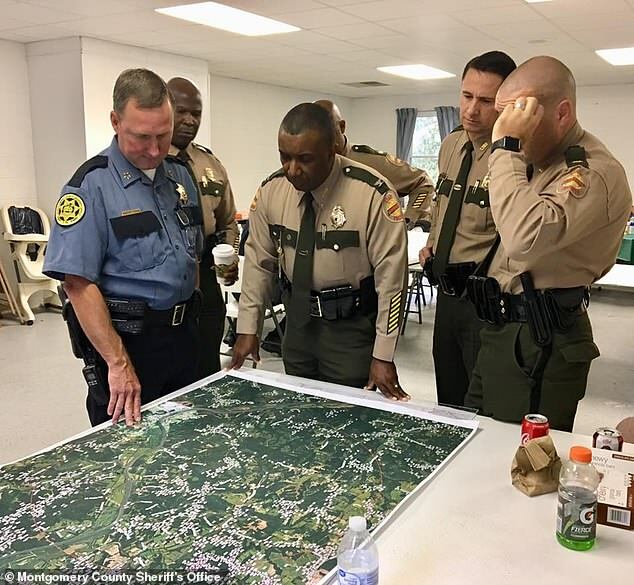 In late September, Tennessee authorities launched a manhunt for the alleged multiple-murderer Wallace that included hundreds of law enforcement officers, helicopters, dogs and ATVs. 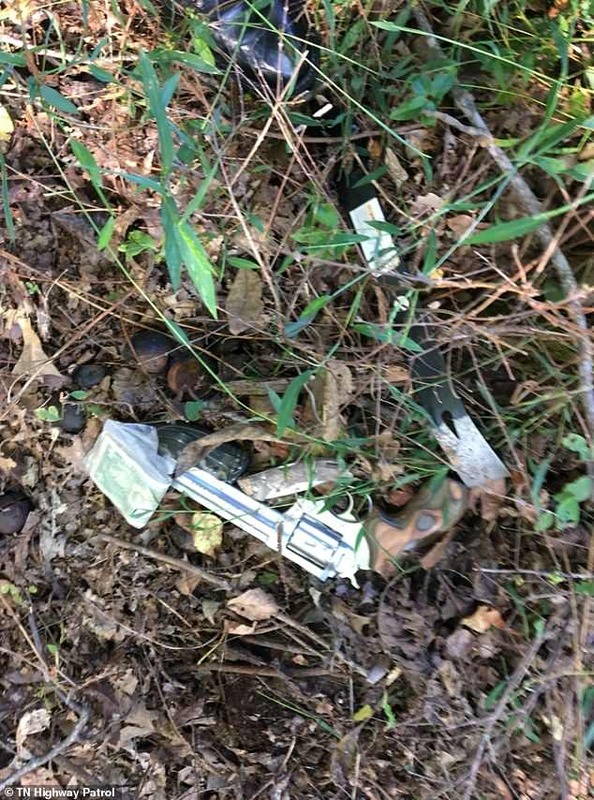 Wallace’s trail of mayhem spanned two counties and ultimately led police to his lair which contained a gun, crowbar and cash. The massive search operation began as police hunted a suspect who attacked a couple and set their house on fire on September 23. 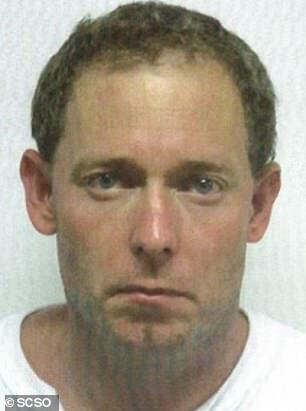 Wallace allegedly stabbed Teddy Smith three times and shot him in the head, grazing his scalp. He then stabbed Brenda Smith once before tying up the couple and setting the house on fire. Teddy miraculously survived while Brenda later died from her injuries. Wallace escaped by stealing the Smiths’ car, taking between $5,000 and $20,000 of their cash with him. A few days later in Montgomery County, Wallace allegedly stopped an elderly woman in her car and forced her into her home at knifepoint. Wallace threatened the woman and several others before tying her to her bed and fleeing in her vehicle, police said. Then on October 1 police say that Wallace fatally shot a man in order to steal his truck. 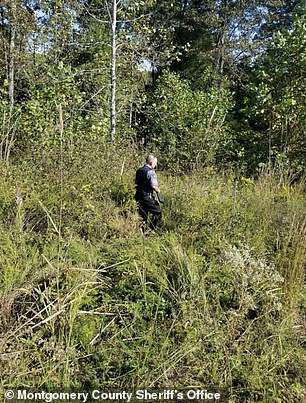 The truck was recovered later that day and police believed Wallace was moving through the woods on foot. Witnesses reported that Wallace was dressed in camouflage and armed. 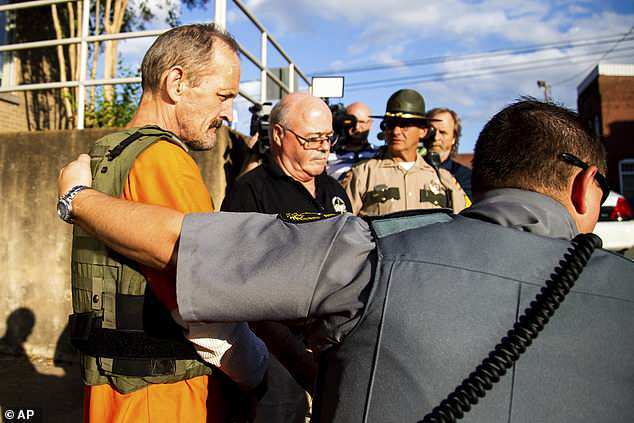 Wallace was said to be armed with a magnum revolver, semi-automatic long rifle, 12 gauge shotgun and a hunting rifle. 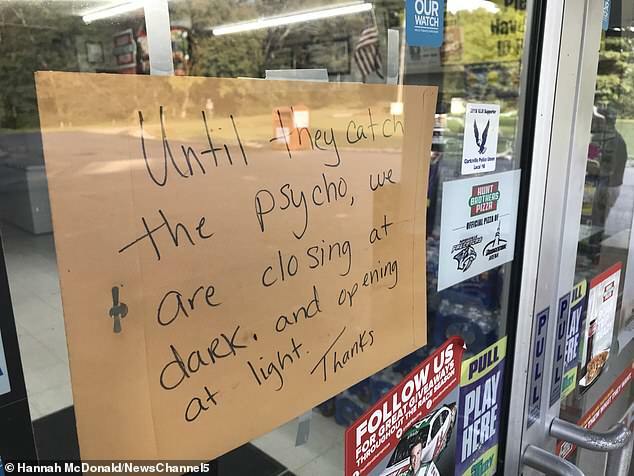 Roads were closed, and local businesses began closing for business at sundown, warning customers that they would only resume normal hours once the ‘psycho’ had been caught. Area schools were on ‘soft lockdown’ and cancelled school bus routes to avoid having children exposed to the accused killer. Stewart County Schools authorities said that parents could either drive the children to school themselves or keep them home for the day. 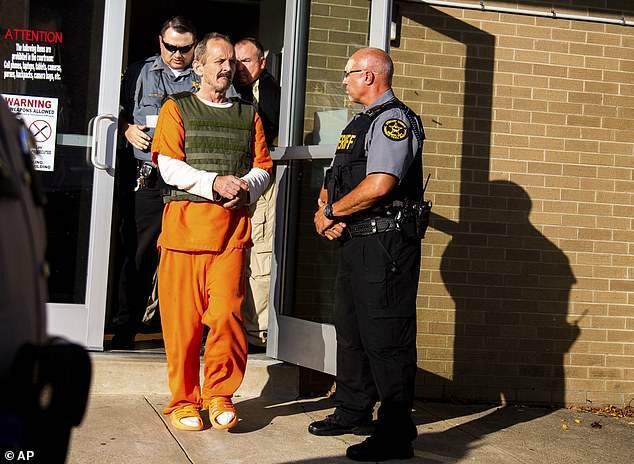 Witnesses reported that Wallace was dressed in camouflage and carrying a firearm. 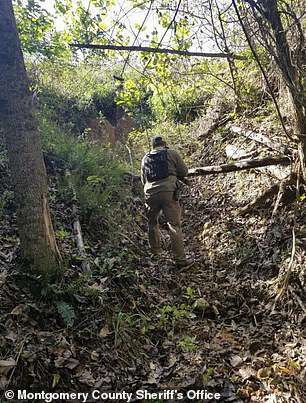 Authorities set up a perimeter and combed the woods, which were filled with caves and other hiding spots that were well-known to Wallace, a local with extensive backwoods experience. 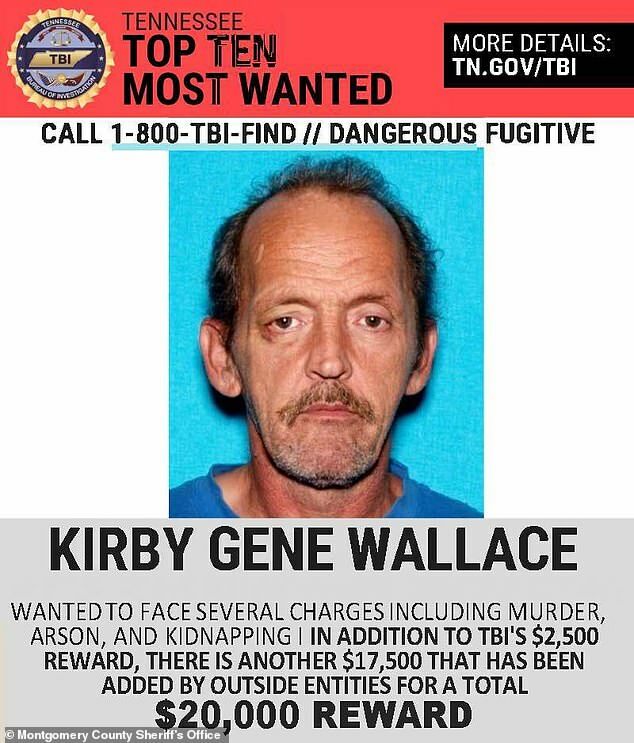 Wallace was considered to be ‘dangerous fugitive’ and was on the Tennessee Bureau of Investigation’s Top Ten Most Wanted list. The reward for information leading to his capture had been raised to $20,000. 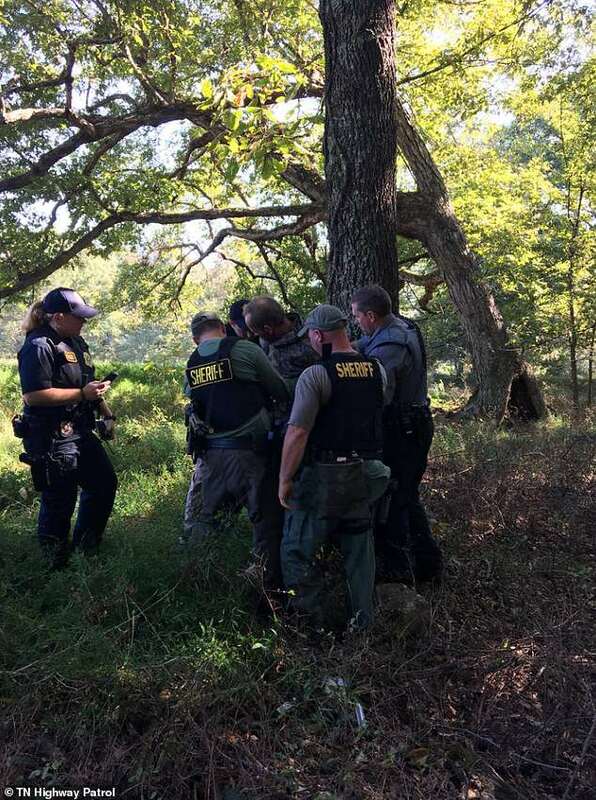 For days, the search was fruitless despite multiple sightings of Wallace, until early on October 5 police moved the search from Montgomery County to Stewart County. A police helicopter picked up a ‘heat signature,’ which was considered a confirmed Wallace sighting. 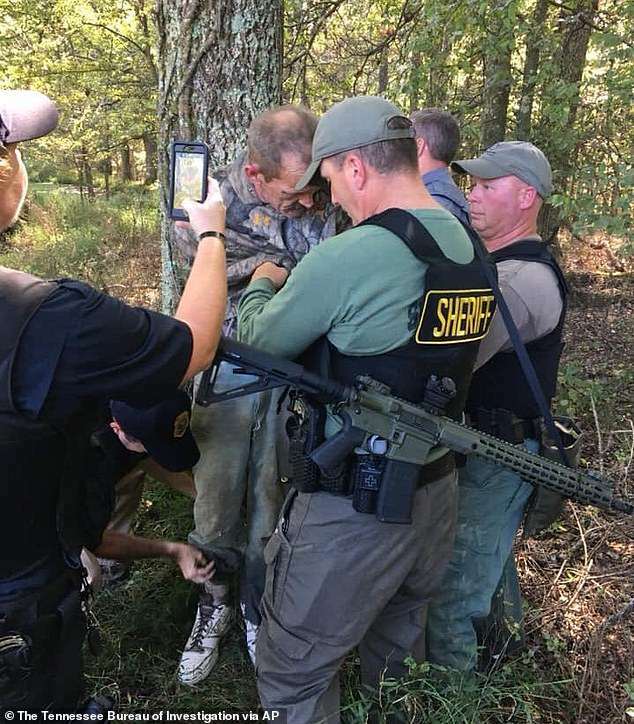 Henry County Sheriff Monte Belew took up a position hidden in a deer blind, with Cpl. Stacey Bostwick concealed in another blind nearby. At about 10.15am on October 5, they saw Wallace walking toward them. 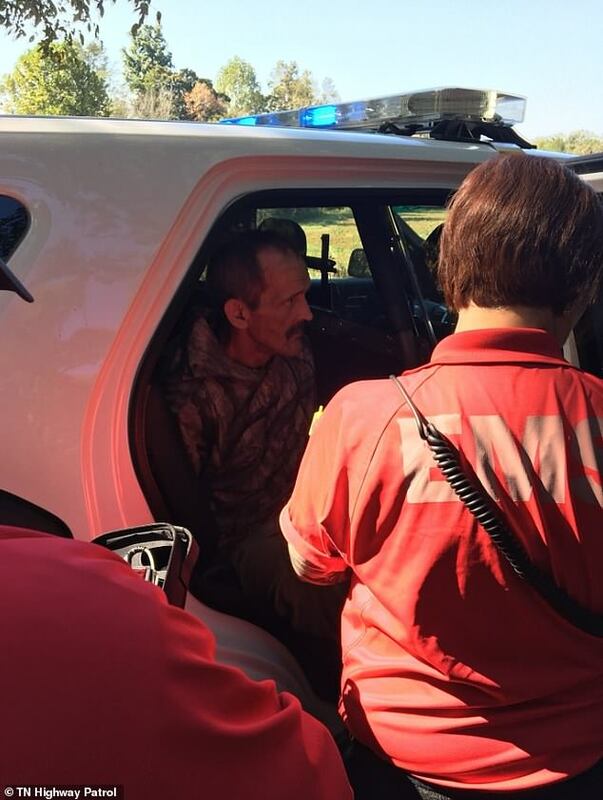 The sheriff said at a press conference that he shouted at Wallace and pointed an AR-15 rifle at the fugitive. The sheriff said Wallace reached for a loaded handgun at his waist, but then raised his hands empty and kneeled to the ground. 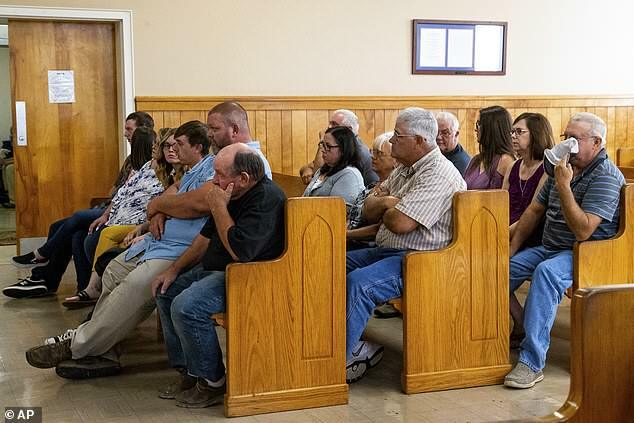 Wallace appeared at Stewart County Courthouse on October 9 and sat stony faced and silent while a judge ordered him to remain in jail without bond. Relatives of Brenda Smith called out to Wallace as he was escorted from the room in a bulletproof vest and an orange jumpsuit, shouting ‘I’m going to watch you die,’ and ‘we’ll be waiting’.